Is it me or does the sun make you shop more? Or is it boredom? I think it's a mixture of both for me. Last week I was resting my swollen ankle from an insect bite, this week my son has chicken pox so have been indoors mostly and have been itching (no pun intended) to go shopping, especially as the sun is out. Although I prefer going into a store, trying on the clothes and having the option to have it right now, I enjoy online shopping too. Sometimes you don't always get to see everything in the store but with online, you can take your time and shop anytime of the day. So during this period, I have been adding things to my baskets and figuring out if I need it or not. The first item which WAS in my basket and now on it's way to me are these jeans. 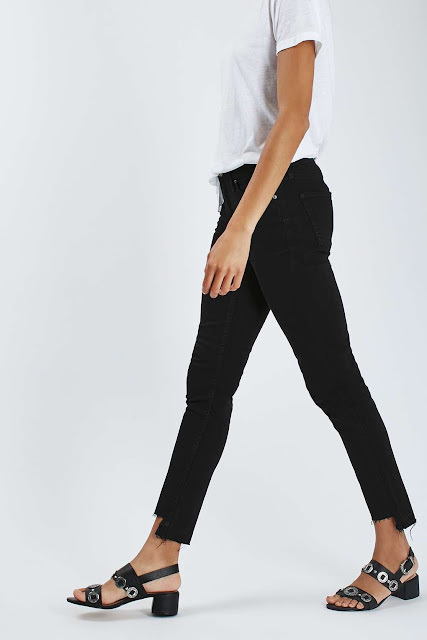 I have been looking for a pair of black jeans and came across these from Topshop and immediately feel in love with them because of the stepped hem. Topshop boutique had a similar pair for £55 but only had limited sizes left (sold out now), this is the exact copy of them for £42. Stepped hems have been popular this year, wear casually with sandals or dress up with heels. Next are jumpsuits, comfortable for everyday wear, once you find the one that suits you, you can dress it up or down. I have an old pair from H&M (See my Instagram post) and have worn it so much in the past. I adore these ASOS jumpsuits, couldn't decide which colour so have ordered both. (Left: Rust £38, Right: Black £38) Hoping one suits me more than the other, can't keep both!! Next up dresses, I did a post a few weeks back on maxi dresses and summer dresses, loving all the summer dresses at the moment. 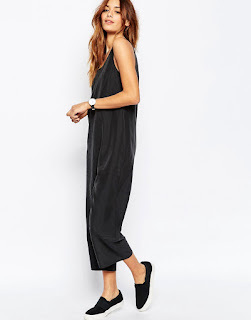 The Zara dress would look lovely with heels for a night out but equally cute with white trainers. These are a maybe and have not purchased. Denim shorts are my favourite summer staple item, it's casual and goes with anything. The below is a perfect length and colour and although I like these, not sure I need another pair at this moment in time. Tops! I do love tops, it's the best item to buy, it's easy to throw on top of jeans, skirts and under dungarees. Below are a few of my favourites I've seen. 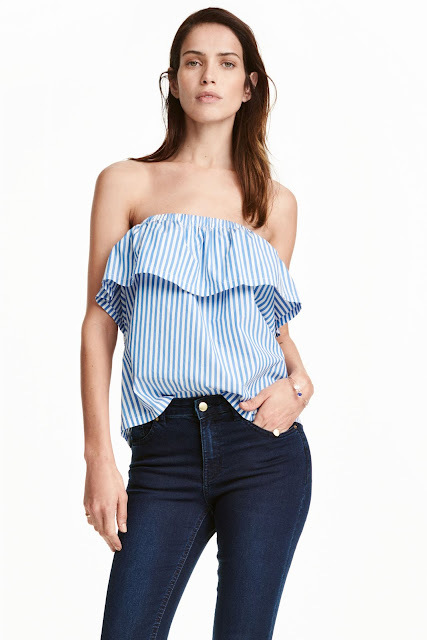 Purchased the below h&m stripe top today. Hope you've liked my some of my favourite summer pieces, some can be worn through to Autumn. Happy shopping!